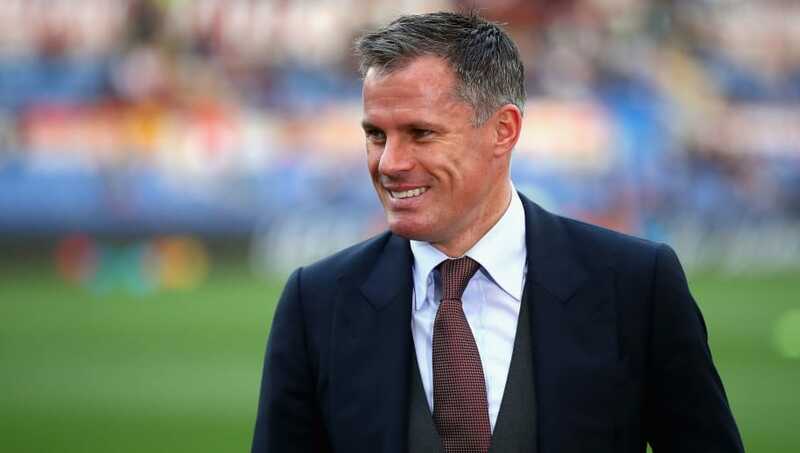 Jamie Carragher has expressed his belief that Liverpool can win the league this season and urges the Reds' fans to relax about the situation. ​Despite preserving their unbeaten start to the Premier League with a 1-1 draw against Arsenal, the two dropped points means that Liverpool have lost some ground on Manchester City in the race for the title. The disappointing result, having led the game until late on, has left some Liverpool fans downcast about their title chances this season.Their hopes might have taken a further blow having watched Manchester City dismantle Southampton on Sunday in an emphatic 6-1 victory. He continued: "You'd think Liverpool had lost the league after the game at the weekend because 'oh it's two points dropped, Man City are gone two points clear', there's a long way to go." The Liverpool legend admitted Manchester City's superiority over Liverpool, but still believes there is room for Jürgen Klopp's side to nip in ahead of the Citizens in the race for the Premier League title. He explained: "Man City are better than Liverpool, everyone knows that. That doesn't mean that Liverpool can't win the league. "I think Liverpool's hope of winning the league is in the second half of the season if City go far in the Champions League and the whole club focuses on the Champions League and takes their eye off the ball slightly. "That's the only chance Liverpool have got, because City are better than them." The facts of the matter are that Liverpool remain unbeaten in the league this season and would likely be top of the table at this stage if not for Manchester City's brilliance. However, Carragher is correct to urge patience amongst the Liverpool faithful because there's still plenty of time left in the season and there is every chance that Pep Guardiola's side will take their eye of the ball. The Reds face an away trip to Red Star Belgrade in the Champions League on Tuesday night, before taking on a struggling Fulham on Anfield this weekend. With Manchester City set to take on Manchester United on Sunday, Liverpool might be presented with an opportunity to make up some ground on their title rivals.